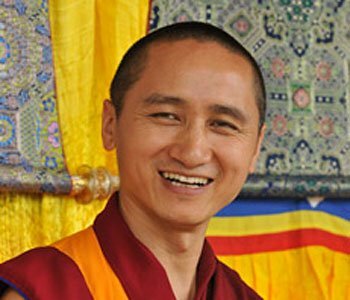 Geshe Zopa is an accomplished Buddhist master and extremely popular teacher, fluent in English, and with a contemporary approach. Geshe-la’s enthusiasm and warmth capture the hearts of all who attend his teachings. His humble manner, gentle humour and clear and topical explanations of Buddhist philosophy engage everyone who attend his teachings. 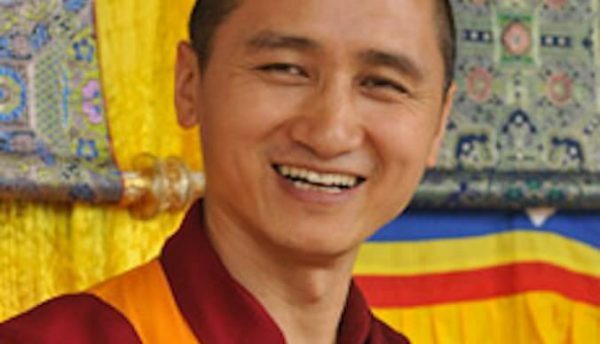 Geshe Zopa is featured in the 2008 documentary film Unmistaken Child, which follows his search for the reincarnation of his beloved master, Geshe Lama Konchog. He was born in Nepal, and become a monk at age nine. As a child he studied Tibetan language, English, Nepali, art, lama dance, ritual, puja, and Buddhist philosophy. He also did a 6-month retreat with Geshe Lama Konchog back in the cave in Tsum. He was the top student in debate, writing, and memorization at Sera Je, and he always ranked among the top five students out of more than 5000 monks. In 2007 he completed his studies and graduated as one of the youngest Geshes (equivalent to a PhD or Doctor of Divinity) in Tibetan Buddhism. In his youth he skipped four grades, and the Dalai Lama let him take his final Buddhist exams four years ahead of schedule. He speaks fluent English, Tibetan, Nepali, and Hindi, and a little Mandarin. Our world seems increasingly fractious and hostile, yet in the face of great adversity, human beings rally to support each other with love and understanding. How can we develop the sense of equanimity and emotional stability to remain warm-hearted, despite great social suffering? How to genuinely care for all beings when some beings seem so destructive and negative? Geshe Zopa is an internationally renowned teacher, fluent in English, and with a contemporary approach full of wisdom and gentle humour. How to journey through the last days of our life without fear or regret, but with a peaceful and open heart. Discover how to prepare our mind for passing on, and how to help our loved ones, and even our pets, at this crucial stage of life. Practical Buddhist wisdom for a topic often shrouded in mystery. Geshe Zopa is an internationally renowned teacher, fluent in English, and with a contemporary approach full of wisdom and gentle humour.